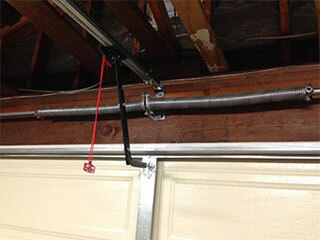 At Garage Door Repair Oakdale we can replace your door springs with speed and efficiency. There are many reasons why they may need to be replaced. The most common issue is a snapped spring, which can be extremely dangerous. You should never try to operate your door when faced with this problem, as you could make things worse, or put yourself and your family members at risk. Do Both Springs Need To Be Replaced? If one has broken or stopped working properly, it usually means that the other one will soon start to fail as well. For that reason it’s always advisable to get both of them replaced, as this can save you a great deal of time and money, and can prevent further damage. Springs are some of the most important parts of your system, as they are in charge of supporting the door's weight during its operation. If your springs aren't suitably able to support your garage door they can end up getting damaged quicker, and can potentially damage the door itself, especially if they suddenly snap and the panels collapse. Our team only installs components that are a perfect match for our customer's doors. We always conduct a balance test after we finish installing them. This help us make slight adjustments that will prevent your door from tilting. These are the two main types of garage door springs. There are several important differences between them. The extension type – which is smaller and uses a stretching motion in order to support the weight of the door – and the torsion type, which twists in order to accomplish the same goal. If you do need to get your springs replaced, contact our Garage Door Repair Oakdale team. Our professional technicians will get the job done quickly without comprising your safety.